We have an awesome new sponsor, Unity Stamp Company! Unity provided each of the Curtain Call designers with an Itty Bitty stamp set for the Curtain Call Inspiration Challenge: Something Simple! The LEAD of this challenge will receive a gift certificate to Unity Stamp Company! 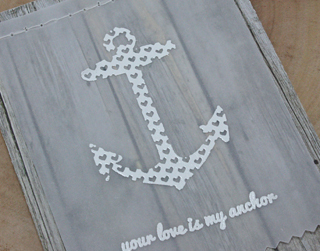 I embossed the anchor and sentiment from the 'Love is My Anchor' set in white on vellum. I use my Sew Easy tool to run a line of stitching holes across the top of the vellum and then using regular white thread I ran a running stitch using the holes as my guide. Something new for me. 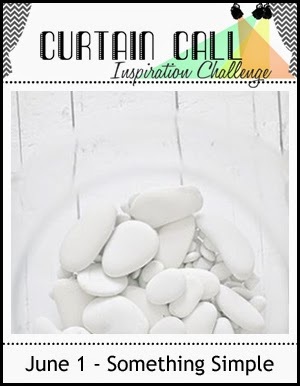 Stop by the Curtain Call Inspiration Challenge: Something Simple and play along with us! Tracey, I love this! I can't seem to get enough of vellum and nautical! The stitching looks great and I love the barnboard background! I love the touch of stitching. And the vellum over the wood grain is fabulous Tracey. I love how you stitched down the vellum - adds texture and a richness with the embossing! I always love some good barn wood. Adding the stitched on vellum just made it a little classier. Great card! Fab take on the challenge, Tracey! Love the embossed anchor on vellum and the stitching detail. Love the embossed anchor with hearts on the vellum against that background! It's perfect...love it! Love the embossed image Tracey and you stitching is a nice touch! LOVE that anchor image to bits, Tracey! And your woodgrain background is perfect! Just gorgeous. I love how you used the vellum, and your stitching is so impressive. This is gorgeous, Tracey! I love the embossed anchor on the vellum and the stitching! Love the vellum over the wood! Great design Tracey! Fabulous card Tracey. Love the white embossed image on the vellum and the background paper. Oh, this is fabulous, Tracey! Fabulous card Tracey...I love your anchor and sentiment on the vellum over the wood grain and your stitching...wow! Such a sweet card. Love this card, Tracey! Your embossed anchor looks amazing on vellum, and I love your stitching! Such a great idea to use the woodgrain background, too...Love it! 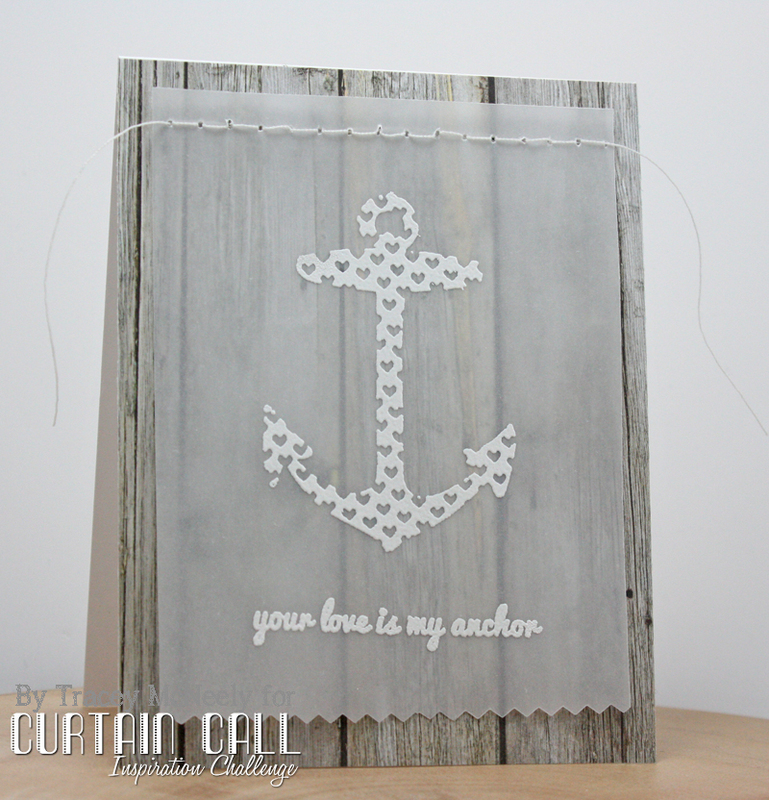 wow love the stamping on the velum and that anchor with hearts adorable.. fabulous card. 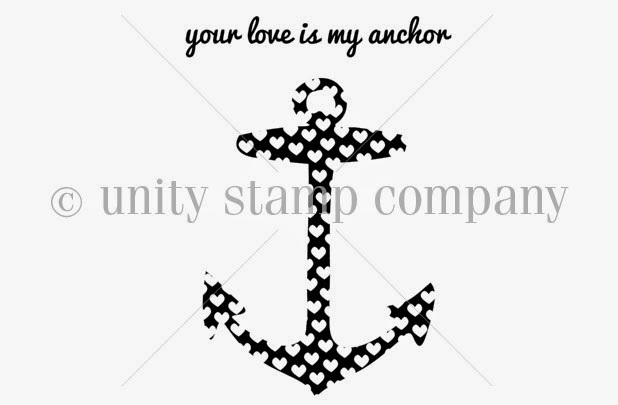 The woodgrain looks fantastic and I love the anchor with the hearts! Great job with the stitching too! Very cool card Tracey! The woodgrain looks awesome with the vellum. I finally ordered an anchor die (it's just small) and seeing your beautiful card here has sparked ideas! Once again, a simply stunning, stunningly simple card...wow!! the white embossing and textures and stitching- all wonderful!